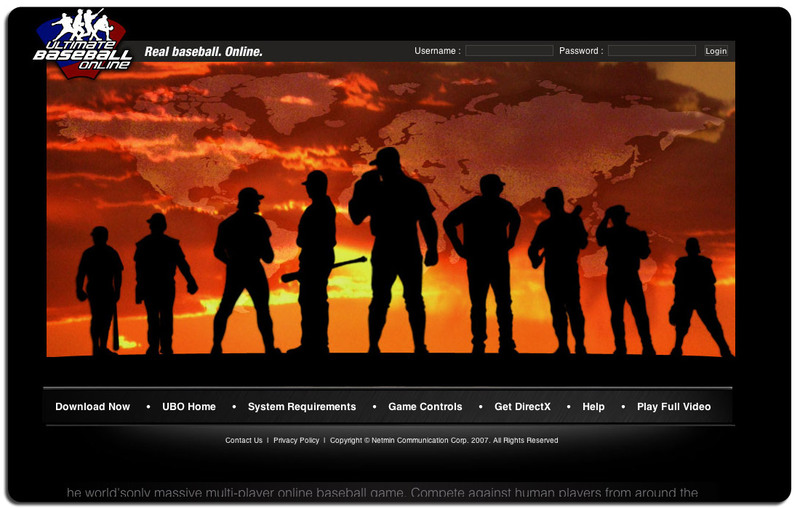 Ultimate baseball online was an online game where 18 players from around the world could compete at once as baseball teams. They wanted to re-design their line look so it had a more fierce, warrior-like feel to it. We designed the main image of the player’s silhouettes in front of a golden sunset lit map. The client loved it and soon we were re-branding the entire license. Plus it gives the game a meaner, more menacing feel – more like a Raiders game. The video consisted of grabbing frames of real time game play, then editing it together and giving it a reason to live with an over the top soundtrack.